It seems that even at the order and behest of the High Court of Delhi to sanction land and building for the beleaguered Qaumi School that was razed to the ground 42 years ago during the infamous Emergency in 1976 and is running in tin sheds, the Kejriwal government and its Directorate of Education is not interested and concerned at all since they do not invite me, who is the petitioner, considering me to be a persona non grata, as stated in the meeting today. When Mr Anshu Prakash, the Hon’ble Chief Secretary asked the Director Education, Ms Saumya Gupta about my locus standi as petitioner, she said that I had none! Last time also when the meeting was conducted under the then Chief Secretary, Mr MM Kutty, no postal, telephonic or any other intimation through email etc. was sent to call me as petitioner. However, by default, I came to know about it through the Principal, Qaumi School, an invitee, and attended it. In this meeting, I called a spade a spade and stated that there was a patch of about 15-16 acre Waqf Board land just adjacent to the Eidgah (where the hapless school is presently situated) of whose around 2 acre can be used to build the school that has 711 students who are fighting the vagaries of extremities of weather for attending classes that are torn and tattered tented structures. This is how the Directorate of Education works. On January 10, 2018 when the meeting was going on, at 11:30, I received a call from some Mr Pawan Kumar, deputy director, Education in the Directorate of Education, asking my name. After confirming it, when I asked him if there was any meeting, he never responded to. After that many calls were made by me but he never spoke. At the same time, I received a call from the Principal of Qaumi School, Mr Mohabbat Ali that there was a call from the Directorate that a meeting was there in which he wasn’t invited but I was. As a matter of fact, the Principal of Qaumi School too should have been invited to represent it. Even in the earlier meeting, I had complained that no intimation was sent to me but all in vain. However, the DD Pawan confided in me that the Director Education holds a low opinion about building this school and wants to close it. Besides, the two meetings with the Chief Secretary too seem to be an eye wash just to shed the burden of the High Court Order of December 05, 2017. The PIL filed by me has contended that the state of affairs at the Qaumi School was "sad and pitiable" as it was functioning from the grounds of the Eidgah at Quresh Nagar in Old Delhi after its building was demolished. The plea has alleged that despite promises of land and building, nothing was done and the school continued to function in a "tattered, tented and tinned structure, without a building" since 1976. 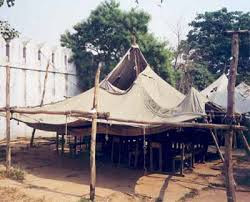 The PIL, filed through advocate Atyab Siddiqui, contended that children from the "down-trodden and backward class have to suffer due to threats of closure, makeshift classrooms, leaking roofs and no proper facilities… A hostile and inclement environment can hardly be conducive for learning. With competition in board examinations reaching stupendous proportions, children from such schools are placed at a huge disadvantage from the very inception of their schooling life." What is ironic according to me is that it is the same school that was built by those Muslims who, rather than crossing over to Pakistan in the aftermath of Partition in 1947, loyally preferred to stay here in India and built the Qaumi School in 1948. 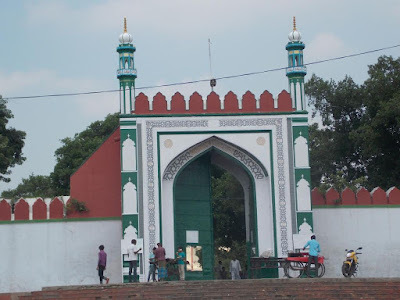 The reward that they got was that on June 30, 1976, their school was demolished to make way for “Janata Flats” and shifted in tarpaulin tents at the Delhi Eidgah grounds on the promise that the school will be built within 6 months. It is now 42 years that the residents of Quresh Nagar are waiting for a proper building for their children. I think it is obligatory on the state to provide infrastructure including a school building and the civic authorities have failed to discharge the statutory onus.